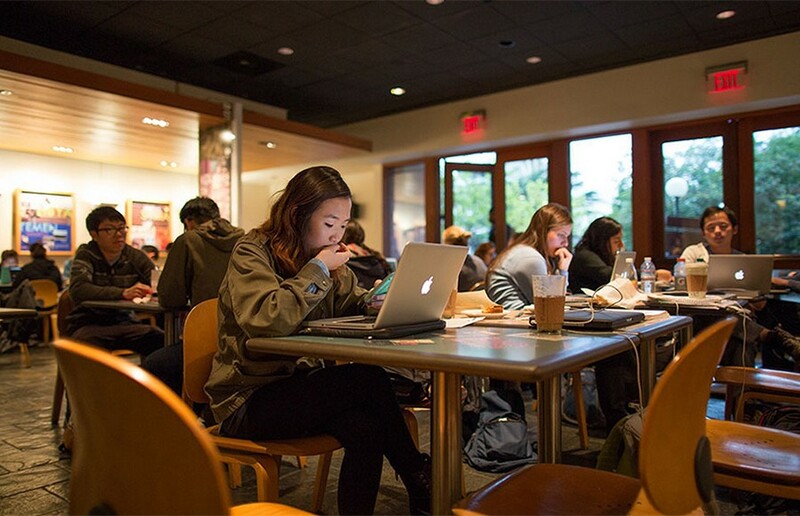 We at the Clog know that all students have been wondering why the menu at the Free Speech Movement Cafe changed at the start of this semester. We sat down with owner and UC Berkeley alumnus, Daryl Ross. Ross is the owner of many of our favorite local cafés and eateries including Caffe Strada, Free House and the Free Speech Movement Café, among others. He graduated from UC Berkeley 30 years ago as a philosophy major, but he’s still in the area. When talking about his entrepreneurial success, Ross maintains he has a very specific vision for each of his cafés. Combining creativity and practicality, he tries to tell a story with a combination of food and ambiance. In the case of the Free Speech Movement Café, Ross has been trying to figure out what kind of food matches that historic movement. “Studying the free speech movement, it was more than just about free speech,” Ross explained. He sees this movement as a symbolic, more progressive time. Thus, he tries to get the food to relate to his vision. With the new menu, Ross tries to take this initiative a step further, sourcing his food from even more local vendors than he did before. He sees it as an introduction to a new way of eating, without as much of a reliance on carbon and water intensive products such as meat. Whereas, previously, the menu centered around traditional landmark foods such as turkey sandwiches and tuna melts. But they have now moved toward a more seasoned, organic and sustainable menu with the help of Alice Waters, chef at Chez Panisse and pioneer of the seasonal menu. However, he also recognizes that the majority of his clients are students, so he keeps his food affordable to people on a budget. For this reason, he’s bringing back a new and improved turkey sandwich for next season’s menu. However, he’s adding a touch of gourmet with brussel sprout slaw and bacon-naise. Trying to improve on classics like the turkey sandwich represents his overall vision for the cafe. “It should be progressive, it’s the Free Speech Movement Cafe,” Ross exclaims. Contact Sareen Habeshian at [email protected].